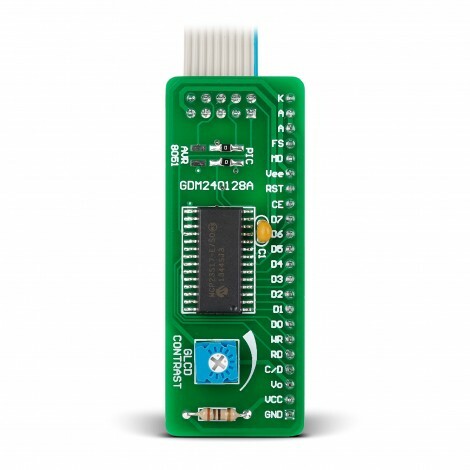 The Serial GLCD 240x128 Adapter Board is an effective, low-cost board used to connect your device to a 240x128 GLCD T6963C. The board has an on-board serial port expander MCP23S17 as well as a potentiometer used to adjust GLCD contrast. 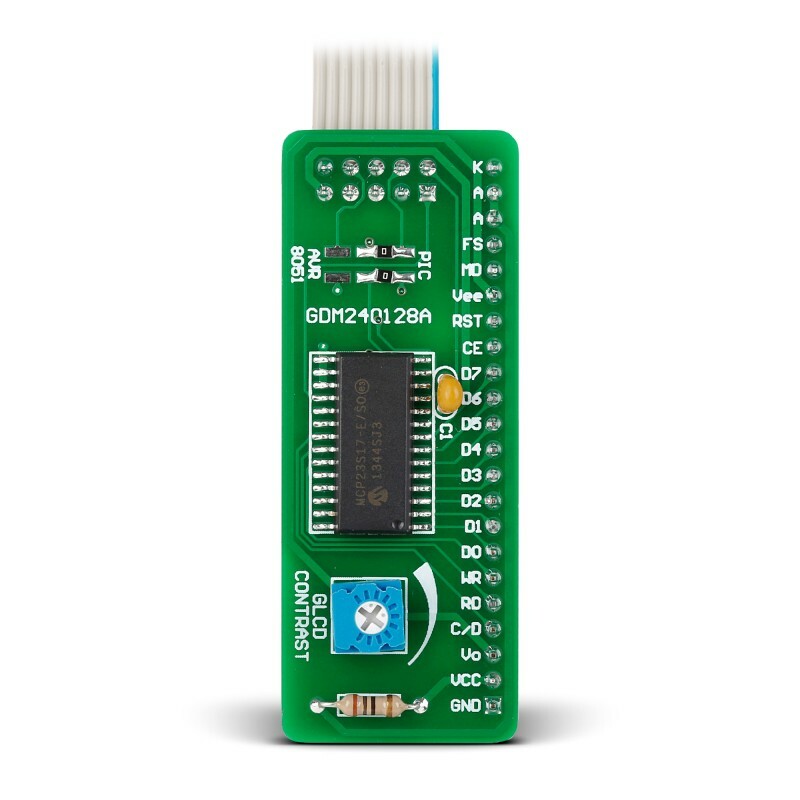 The Serial GLCD 240x128 Adapter Board enables you to easily connect your GLCD T6963C (Toshiba) and save MCU pins. A 16-bit I/O expander MCP23S17 is provided on the board thus decreasing the number of MCU pins needed for running this display. Expander features SPI(tm) clock speeds up to 10 MHz for higher throughput applications. Board is equipped with a long flat cable with IDC10 female header connector, which is compatible with all mikroElektronika development boards.